Are you a Friend, Family Member or Alumni interested in supporting Eden Prairie Boys Hockey? 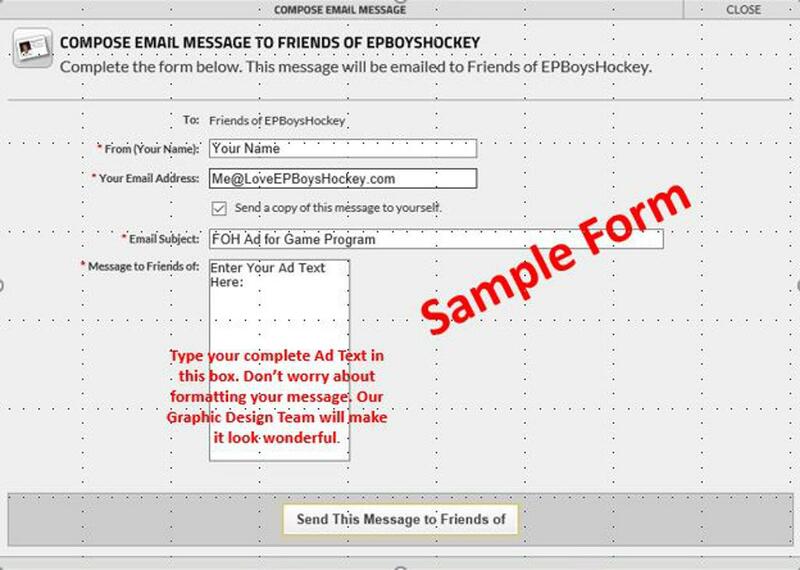 Become a Friend and support the Team by purchasing a Message Ad to the Team or Favorite Player(s). Your message will be published in the 2018-19 Official Game Program. Ads cost $75 and can be placed right here on-line. Complete and submit the email form below with your supporting message(s). Sample Ad messages can be found below. FOH Ads and payment are due by Friday Nov 23rd. You will receive a confirming email that your Ad has been received. A separate email with a link to pay by Credit Card will follow generally within 12 hrs. to submit you FOH Ad. Love Grandma & Grandpa H.